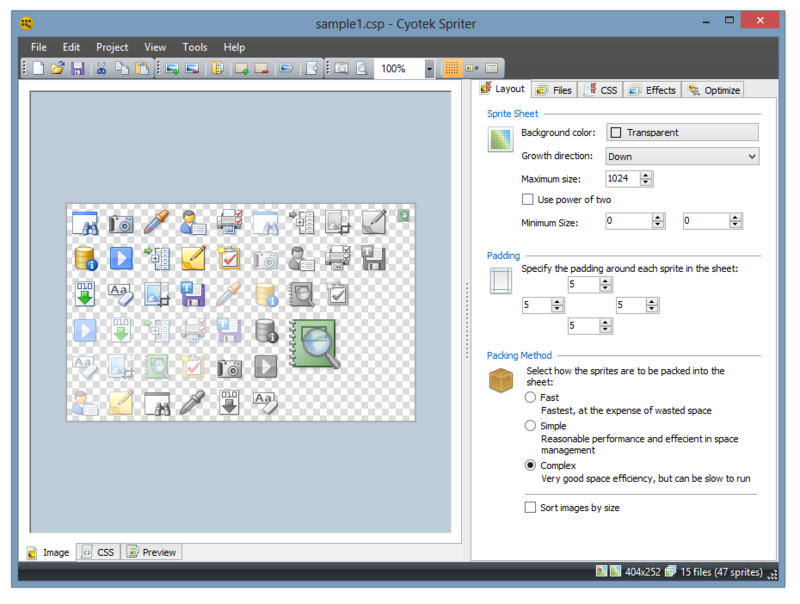 Cyotek Spriter is a free application for creating sprite sheets and individual sprite graphics. 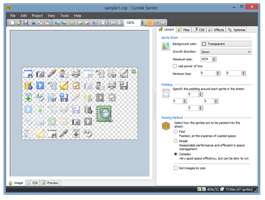 Use Spriter to create a single sprite sheet from multiple image sources, generate appropriate CSS classes via an easy to use template system. If you have existing sprite graphics, apply post process effects such as rotation, resizing or recolouring without touching the original image. Generate text effects on the fly in a variety of styles including outlining or glowing. Then when you're done, export everything either into individual sprites, or composite sprite sheets.